We’re down to the final 30. This week, the season's top remaining PGA TOUR competitors tee off at East Lake Golf Club for their shot at the TOUR Championship and the $10 million dollar prize that comes with the FedExCup. Within the field of 30, all six of Team TaylorMade’s core superstars have played their way into the playoff finale. And while only the top-5 ranked players control their own destiny—a win for Justin Rose or Dustin Johnson would win the TOUR Championship AND the FedExCup—there are many different scenarios that could see players like Jason Day, Rory McIlroy, or Tiger Woods take home the biggest prize in golf. Below, you’ll find win scenarios for each of our key Team TaylorMade players (via PGATOUR.com) and the performance statistics that helped them make it to the TOUR Championship. The new World No. 1 has even more to gain this week at East Lake. After coming up just short in a playoff finish at the BMW Championship, Rose looks to turn the tide at the TOUR Championship and take home the prize everyone has been playing for all year long. Embracing his new M3 driver, P730 irons, and HI-TOE wedge early on in 2018, Rose excelled statistically. He enters the TOUR Championship 2nd overall in Strokes Gained: Total, including 6th overall in Strokes Gained: Around-the-Green. He’s also been red hot with his TP Red Ardmore 2, climbing to 6th in Putts Per Round. Rose has been an all-around threat all season long. He picked up a win at the Fort Worth Invitation and followed it up with three second-place finishes on his way to securing the World No. 1 ranking. And with two of those second-place finishes coming at the last two FedExCup Playoff events, Rose is the hottest player coming into East Lake. 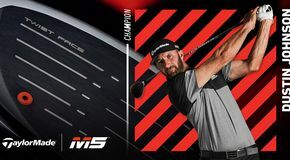 DJ entered the 2018 PGA TOUR season firing on all cylinders on his way to victory at the Tournament of Champions in Hawaii–most memorably nearly acing a par 4 with his new Twist Face driver. 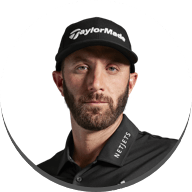 In total, DJ picked up three wins this year (FedEx St. Jude, RBC Canadian Open) and finished the year strong enough to be among the favorites to win the FedExCup. Just as seeing DJ with multiple wins in a season has become standard practice, it’s also no surprise that he enters this week 1st in Strokes Gained: Total and 1st in Strokes Gained: Tee-to-Green. Perhaps even more impressive is that his performance in 2018 has him nearly .200 strokes ahead of the next closest competitor in Strokes Gained: Off-the-Tee. 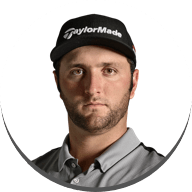 Looking to enter next week’s Ryder Cup on a positive note, DJ is geared up for East Lake… and all he needs is a W to secure the $10M earnings. 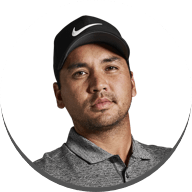 Another multiple winner on the PGA TOUR in 2018—with victories at the Farmers Insurance Open and the Wells Fargo Championship—Jason Day heads to East Lake with aspirations of picking up his third win of the year. And while, as an Australian, Day is the only player featured in this story not participating in next week’s Ryder Cup, it simply means he’ll have his entire focus on taking home the TOUR Championship… and perhaps even the FedExCup. Most will tell you, the key to victory often comes down to your short game. Fortunately for Jason Day, he is as good as it gets when it comes to short game and putting. With his signature Spider Tour Red putter, JDay captured the top-ranked position in Strokes Gained: Putting. And if that doesn’t bode well enough, he also enters the week ranked 2ndin Strokes Gained: Around-the-Green. Based on those statistics, if his short game stays sharp and his putter stays hot, don’t be surprised to see Day take home the trophy on Sunday. Like the players mentioned above, Rory enters the TOUR Championship as a winner in 2018. 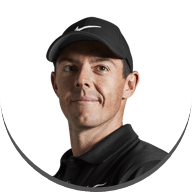 Since his victory at the Arnold Palmer Invitational, Rory has also picked up six top-10 finishes, including a T5 at The Masters, a T2 at The Open Championship, and a 5th place finish at the BMW Championship. 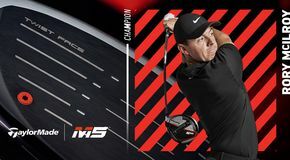 Rory has always been a great driver of the golf ball, but this year, he found his groove with his M3 driver on his way to leading the PGA TOUR in driving distance with a monster 320-yard average. But Rory’s skill extends well beyond the tee box. He also ranks 2nd in Scrambling. So whether he’s overpowering the course or getting up-and-down from around the green, Rory is a force to be reckoned with, especially considering he’s a prior TOUR Championship winner and overall FedExCup Champion (2016). Despite having a season where new major champions were crowned, one player took home two majors, and the No. 1 ranked player switched four times, the leading story in the golf world from start to finish was Tiger Woods. 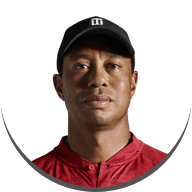 A year removed from a time when we thought we may never see Tiger in competitive action again, he is heading to East Lake with the 30 best players on the PGA TOUR with a chance to win the TOUR Championship and the FedExCup. Not only that, he has been a threat to win in every event he’s played. Most notably, his solo 2nd at the PGA Championship sent the golf world into a frenzy with his 15th major feeling closer than ever before. Tiger’s success this year has been expressed on the leaderboards as well as in the statistics. He heads into the week 1st in Strokes Gained: Approach-the-Green and 2nd in Proximity to the Hole. Additionally, he is 100% on 3-foot putts for the season. And although the Ryder Cup is on the horizon, Tiger has his sights set on securing a win at East Lake before he heads to France. With so many big names toward the top of the rankings, the 2018 CareerBuilder Challenge Champion, Jon Rahm, is flying under the radar heading into the TOUR Championship. Rahm is gearing up for his Ryder Cup debut and hopes to set the tone for Team Europe with a win at East Lake. Rahm’s ability to go low is showcased with his 3rd place ranking in Birdie Average (4.42 birdies/round), and his driving prowess has also paid dividends as he ranks 5th in Strokes Gained: Off-the-Tee with his M4 driver. 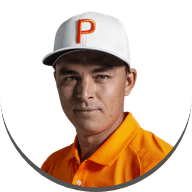 And with the fiery Spaniard’s all-around ability and relentless drive to win, keep an eye out to see him rise to the occasion at the TOUR Championship… and although it’s an outside chance, it is still mathematically feasible that Rahm could take home his first FedExCup title. Be sure to tune into the TOUR Championship this week to watch Team TaylorMade make their push for the final event of the year and the $10 million prize that comes with the coveted FedExCup. If you want to explore the equipment in the bags of these athletes that helped them produce their Tour-leading statistics, follow THIS LINK to see what’s in their bag.